Earlier this month I traveled to New York City to attend New York Comic Con. To save money I skipped the flight and traveled by bus, spending a total of sixteen hours on the road. I didn’t want to pack books for the road since I correctly predicted I’d buy and pick up so many things at the con that I would end up throwing my clothes away to be able to pack everything. Instead, I opted to use my local library’s free app and downloaded seventeen free digital comic books to keep me entertained. One of them was crap. The other sixteen are the subject of this first (and maybe last?) 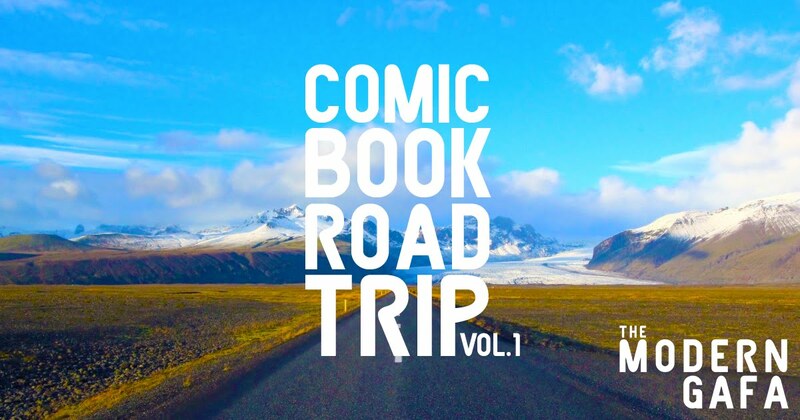 Comic Book Road Trip. One of the panels at NYCC that caught my eye was one on the Avatar comics. I had always wanted to read Dark Horse’s continuations of Avatar: The Last Airbender and Legend of Korra, so this seemed like the perfect time. 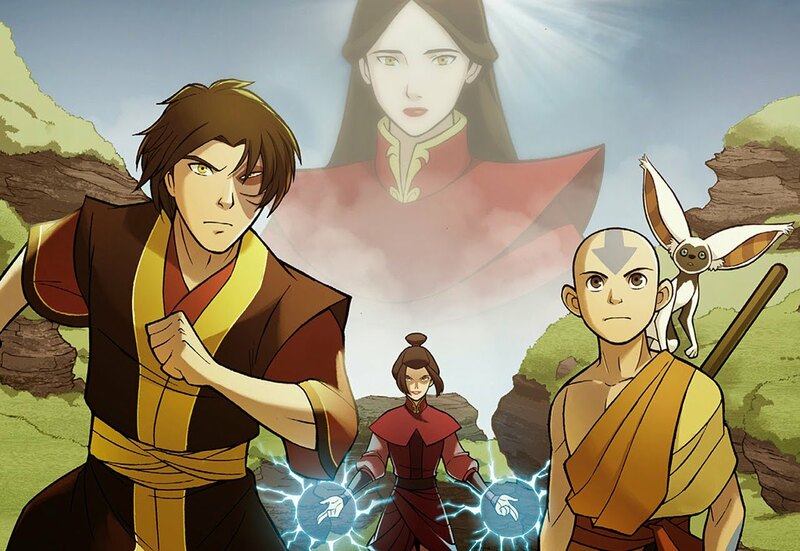 The Promise is the first to follow the trilogy format of Avatar comics and begins shortly after the finale of the original animated series, and sees Zuko, the new Fire Lord, asking Aang to promise to take him out if he ever began to resemble his father, the tyrannical Ozai. A few pages in we jump a year later and see Aang faced with the possibility of having to act on that promise. The trilogy focuses on a project to move the Fire Nation colonies in the Earth Kingdom back to the Fire Nation. One such colony has been there since the beginning of the Hundred Years War and is fully integrated Fire Nation and Earth Kingdom cultures. This politically charged storyline sews the seeds for what will eventually lead to Republic City in The Legend of Korra. We also see Toph’s early days as a metalbending teacher and the hilarious “Airbender Fan Club” that evolves into the Air Acolytes. 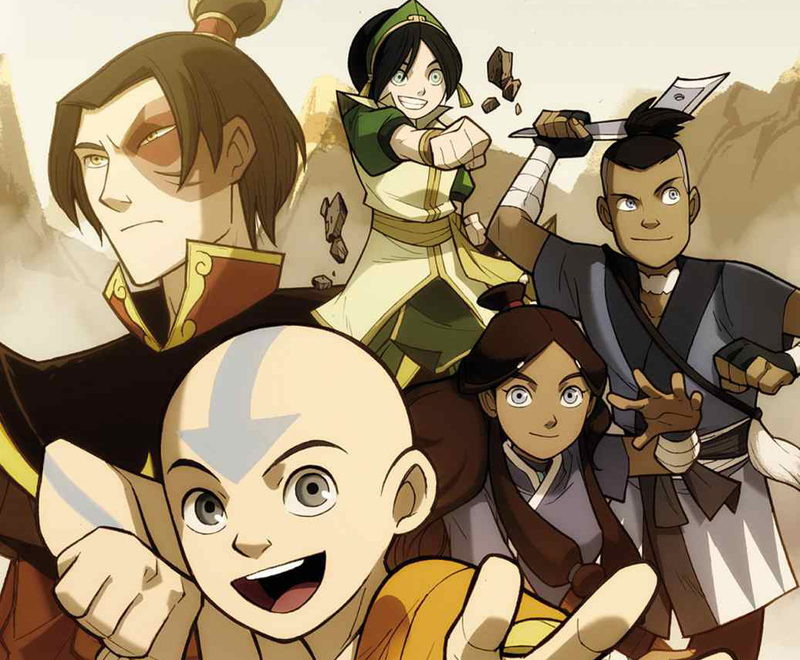 This is the comic Avatar fans have been waiting for. In the final moments of the original series, Zuko met with his father with one question: “Where is my mother?” It almost felt like a hook to set up another season. In the first episode of The Legend of Korra someone even asks Katara what happened to Zuko’s mom. And after four seasons of that we still never found out! Joining Zuko and Team Avatar on the quest is Azula, Zuko’s sister who kinda had a mental breakdown at the end of the animated series. Throughout the journey, you get twist after twist that deals with not only the truth about Zuko’s mother but also his father. 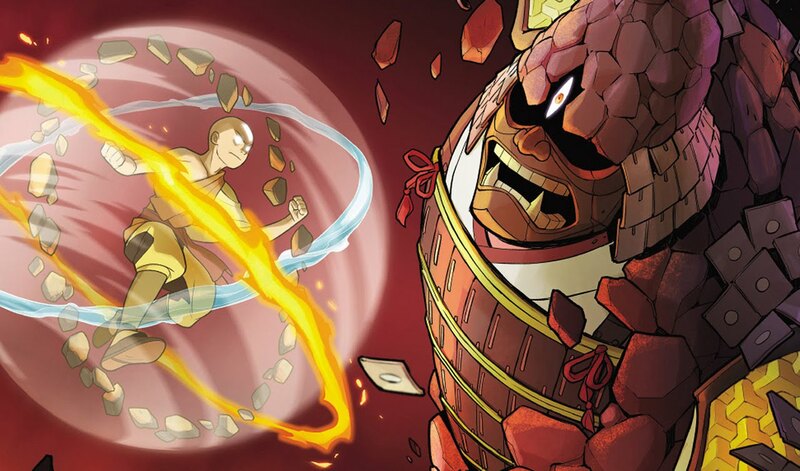 Once you’ve found out what went down with Zuko’s parents, it’s time to check in with Toph’s. The metalbending master left her home when she was ten and then saved the world, all while running away from bounty hunters hired by her father to track her down. In The Rift, Toph reunites with her father at a refinery that blends all three bending styles with technology. This is the industrial revolution bridge that leads to the modernized world of The Legend of Korra. Aang also travels with the Air Acolytes for a spiritual holiday as he learns that not all traditions can stick around after a hundred years, setting up the newer Air Nation forged by Aang and Tenzin in the sequel series. I’m really impressed with how these stories work to answer questions left behind by the original series and explain all the changes in the seventy years leading up to the era of Korra. One thing I could do without is some of the anachronisms present. Usually, I loved how modern sensibilities were used for comedic effect the original series, but there is something about Aang and Katara calling each other “sweetie” all the time that doesn’t sit well with me. I only became a fan of Steven Universe at the beginning of this summer, but when I saw that Rebecca Sugar was going to be doing a big panel at NYCC I knew I had to be there. Seeing the comics available in my library’s app was an added bonus. 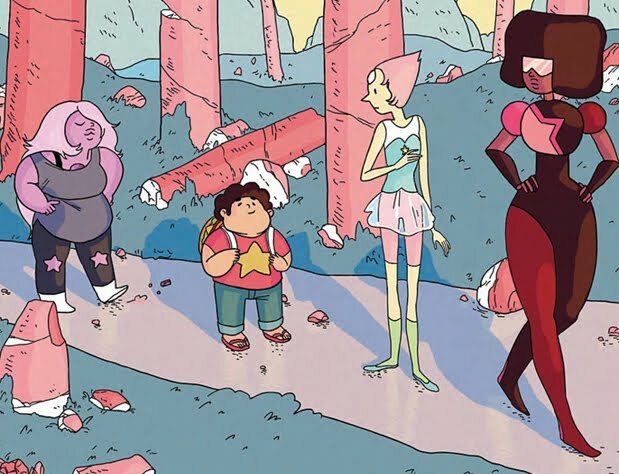 The first Steven Universe comic book series, which ran from 2014 through 2015, is a bit of an oddball among comic books. Each issue has one main story, but it’s only about a dozen pages. That leaves the rest of it to be filled with shorter stories from a variety of different writers and artists. That leaves it as kind of a madhouse of nonsense that features the Steven Universe characters, even some rarely seen side characters like Opal, doing small Steven Universe style bits, but that’s it. There is no ongoing story (only a single two-part story is spread over two issues) and none of the stories are anything but weird comedy bits. It was an enjoyable read, but nothing too spectacular. I am happy to hear that a more traditional series launched this year and will be picking up the first TPB of that when it drops. Now we’re talking! This one was awesome. Too Cool for School was written by Rebecca Sugar herself and feels like it could’ve been “Steven Universe: The TV Movie” if it had a little bit more Crystal Gems in it. 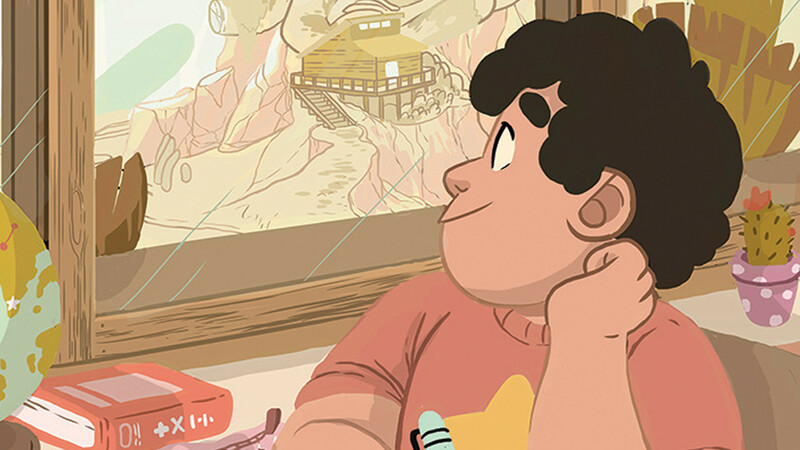 The story follows Steven serving as Connie’s show and tell at school and the subsequent antics he gets into when enrolling as a student. If you’ve ever wondered why Steven isn’t in school, you’ll see why after this. Like I said, it’s lacking in Crystal Gems but still has some pretty intense action when a Gem Monster invades their dodgeball game during gym class. We also see Connie kinda break down a little bit as she realizes that maybe her best friend is kinda super weird. 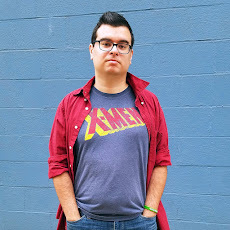 Find out how I first discovered Steven Universe here! I’ve seen images of this here and there and have heard it talk about, but I really know nothing about it. 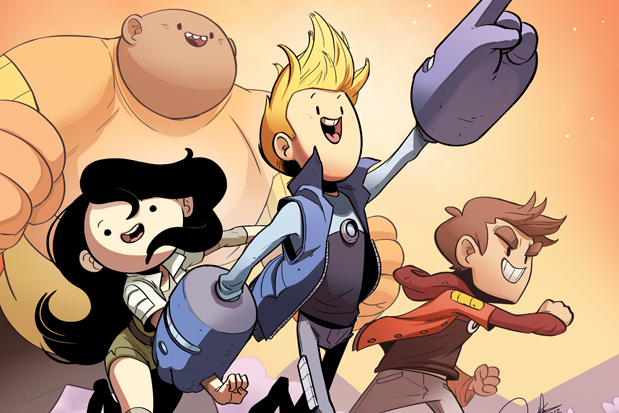 Without doing any research, I believe Bravest Warriors is actually a web series created by someone working on Adventure Time, but targeted towards adults? I’ve never seen Adventure Time, but this was pretty cool. It follows four space-traveling heroes and some extra companions as save the planet of clowns from a goddess of Sadness and then time travel into a cupcake mech. It’s weird. I kinda like it. I’ve seen some pretty sweet cosplay groups of this and never had any idea what was going on but they looked amazing. 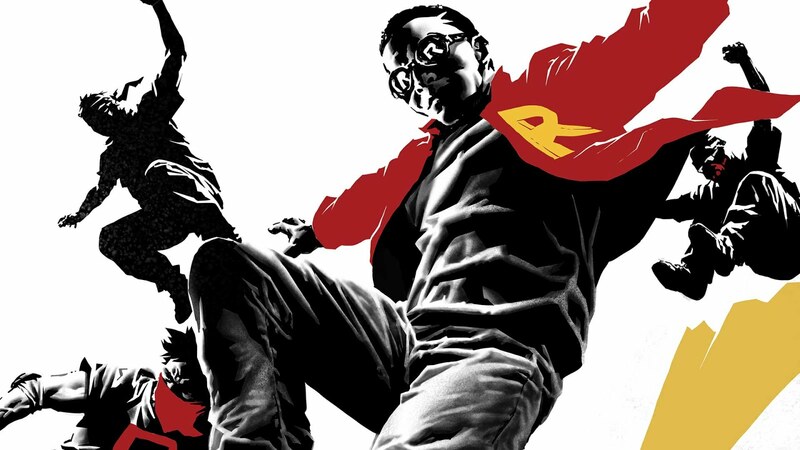 This is set in Gotham and deals with a rising movement of Robins, vigilante youths who dress in their own versions of the Boy Wonder’s costume. Although “costume” is a stretch as it’s more so whatever they could find in their closet. There appears to be a small set of these Robins are chosen a mysterious means, but at one point dozens are seen and I imagine they all just heard about the movement and took up the Robin mantle on their own. The stories are really small and personal and deal with a lot of tough issues. One kid is in and out of foster homes, another seems to have schizophrenia. I want more. This was okay, but you have to admit this is a case where the movie is better. That’s really all I can say. It’s a good story on its own, but you can see where something is a concept that’s only like 20% thought out and the movie is 200%. But the general concept is the same so if you liked the movie you will like this, but the movie is better. This is way better than it should be. 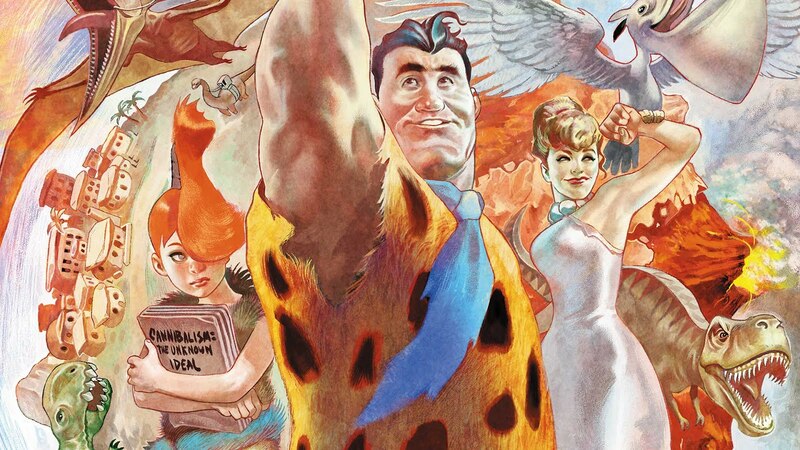 The Flintstones takes the classic cartoon and… I’m not even sure how to categorize it. There is a dark, realistic approach. Fred and Barney are war vets, Bam Bam was adapted from a family that Barney killed, and the Water Buffalo thing is adapted as a PTSD support group. But at the same time, there are cameos by a Carl Sagan type character and, I swear to god, Adam and Steve show up. There’s a whole issue on organized religion. The war veteran thing starts as a one-off joke that eventually gets an entire flashback. Those dinosaurs and other prehistoric animals that they use as appliances? Yes, even the appliances get some sympathy. I was not expecting any of this. And it was awesome. So that was my first Comic Book Road Trip to New York Comic Con. While at the con I also bought a bunch of comics, so maybe that’ll be my next entry in this series? 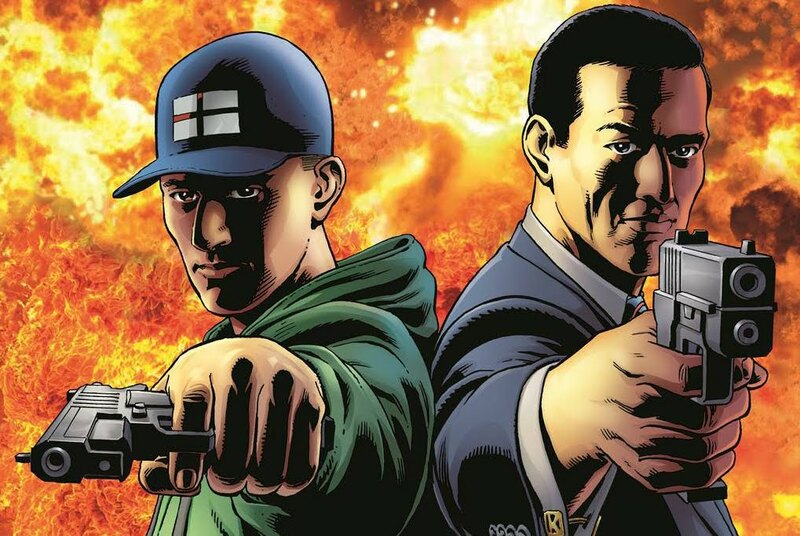 Have you read any of the comics featured here? Let me know what you thought of them in the comments below.